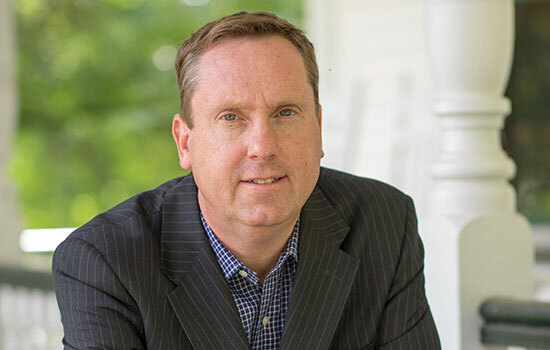 Ian Mortimer ’04 (MBA), who has 25 years of experience in higher education, has been named vice president of Enrollment Management at Rochester Institute of Technology. With an enrollment of nearly 19,000 students, RIT is one of the largest private universities in the nation. Students hail from all 50 states and more than 100 countries. A top 100 national research university, RIT also has international locations in China, Croatia, Dubai and Kosovo. In his new role, Mortimer will be responsible for expanding and improving the student profile of RIT. This includes continuing to improve student selectivity, class quality and diversity, and admitting students who are most likely to thrive at RIT. He will also develop an enrollment marketing plan and strategically manage financial aid resources. Mortimer is currently vice president for enrollment and student experience at Nazareth College in Rochester, where he began in 2013. Prior to that, he served as vice president for enrollment management at Champlain College in Burlington, Vt.
During his tenure at Nazareth, the team put the college on a solid enrollment footing that reached its largest classes in history, increased selectivity, improved visible and geographic diversity, and improved its market position. Mortimer earned his MBA from RIT’s Saunders College of Business in 2004. He also holds an MSEd in counseling psychology and a BS degree in English, both from St. Bonaventure University. Mortimer begins July 30 at RIT. The position became open after James Miller, senior vice president of Enrollment Management and Career Services, retired in June. Miller served the university for more than 50 years. Miller, one of the “architects” of the modern RIT, helped the university rise to its current ranking as one of the top 100 research universities in the nation and one of Princeton Review’s 50 Schools That Launch Careers by Going Beyond the Classroom.